Floor tiles are recognized for their versatility, durability and diverse style options. They are available glazed or unglazed to accommodate individual preferences. Glazed tiles are more resistant to dirt and moisture than unglazed tiles. Since unglazed floor tiles are very porous and susceptible to surface contaminants, they require frequent cleaning to prevent becoming stained and damaged. 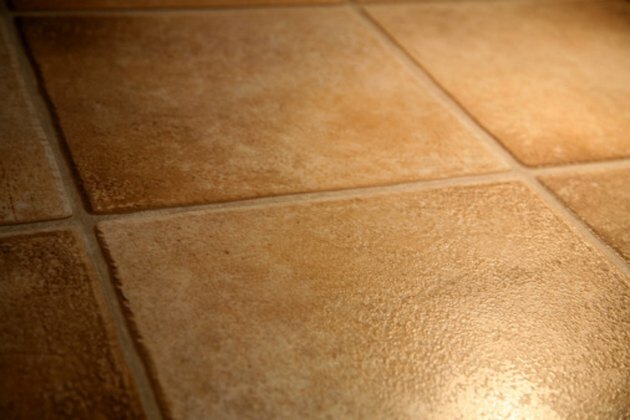 Properly maintaining porous floor tiles preserves their aesthetic appeal and allows them to last longer. Clean porous floor tiles with basic supplies and techniques. Clean porous floor tiles to remove abrasive dirt particles. Sweep up loose debris from the floor with a broom. Remove tiny abrasive grit particles with a dust mop. Combine 2 tablespoons of mild liquid household detergent with 1 gallon of very warm water in a clean mop pail. Thoroughly mix the solution to dissolve the detergent. 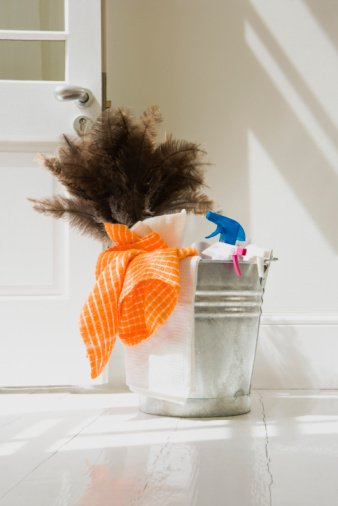 Fill another clean mop pail with warm water for rinsing. Dip a microfiber mop in the detergent solution. Wring out excess liquid from the mop. Mop a 4-foot by 4-foot section of the floor in circular motions to pick up accumulated dirt and grime. Frequently rinse the mop in the warm water to prevent redistributing grime to the porous tiles. Clean the remaining 4-foot by 4-foot sections of the floor using the same method as for the first section. Occasionally rinse out the mop pails and refill them with fresh solution and warm water. Mop all the floor tiles with fresh warm water to wash away any remaining detergent residue. Thoroughly rinse the entire floor. Wipe the tiles with clean cotton towels until completely dry.